An efficient process leads to more sales and higher customer retention. According to sales strategist, Jill Konrath, 97% of all business calls go to voicemail. That’s a pretty eye-opening statistic. Unfortunately, a potential customer who gets sent to voicemail may end up with your competitor. There’s a window of opportunity that seems to get smaller each year as consumers become more tech-savvy; it is imperative that you work on a single contact resolution concept, no matter how your customer wants to communicate with you. ATD CloudConnect™ Office is the solution. 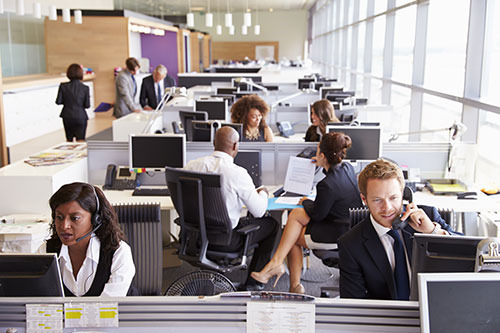 Business communications is critical to any organization, so forgo the headaches of keeping up with a premise-based phone system and begin to focus on what really matters, your business.